The United Nation estimates indicate that by 2050, nearly 10 billion people will live on the planet and consume around 70 percent more meat per year than they do today, meaning the traditional meat industry we know today is going to undergo radical change in the coming years to supply this tremendous demand. The meat substitutes will have a dramatic impact on food consumption, environmental pollution, use of water, land and resources and, above all, preventing the slaughter of millions of animals on a daily basis as part of the food industry. In other words, meat substitutes will make a revolution greater than the revolution created when cars replaced the horse and cart. The need to develop meat substitutes is burning in importance. China and India are undergoing accelerated urbanization, and meat substitutes may be more resource-efficient, air-polluting and waste-generating than meat production in conventional ways. In a study conducted at MIT, it was found that to produce a pound of meat protein in the current food industry requires 4 to 25 times more water and 6 to 17 times more soil than producing a pound of vegetable protein. How exactly does this magic happen? Meat substitutes consist of plant proteins such as peanuts, nuts, legumes, soybeans, gluten from wheat, sesame and yeast. The way to make these proteins a meat substitute is to create an emulsion of the ingredients by cutting and mixing proteins with other ingredients. Then boil the compound in a way that changes the structure of the protein and stabilizes its shape, and you have a hamburger that only looks like a hamburger, but no cow was harmed during its preparation. In contrast to meat substitutes that occupy more and more chunks of the global food market, synthetic meat production in the laboratory is still a costly and long process that does not provide a solution in the foreseeable future for global population growth. Meat substitutes, on the other hand, do look like the successful alternative and the production of meat substitutes from proteins looks like the right solution in the field. And how is the taste of the burger? Companies that produce meat substitutes have so far operated under the public radar. Still, a number of leading public companies are beginning to move toward vegetarian food, such as McDonalds, Danone (BN.PA), Hain Celestial (Hain), Tyson Food (TSN) and others. 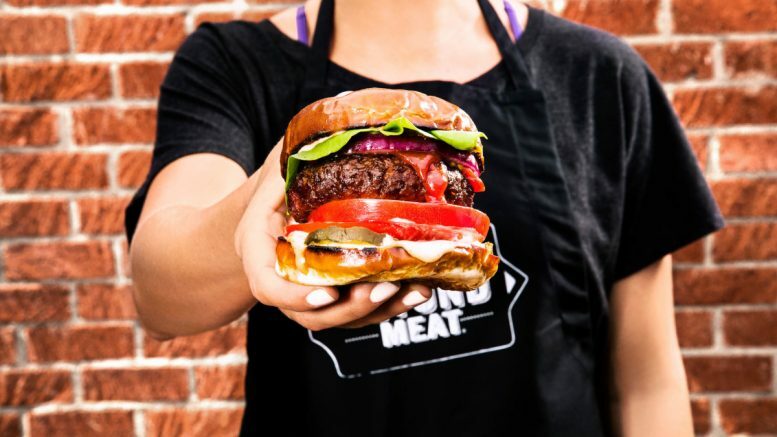 One of the pioneers in the field is Beyond Meat, which was founded in California in 2009 and has raised $193 million so far. In the first nine months of 2018, it reported revenues of $56 million. The company, which is valued at $1.35 billion, is making its preparations for an IPO on the NASDAQ (the symbol will be BYND) and its products can be found in hundreds of restaurants and food chains around the world. That’s when I and you ask the same question: their burger looks like a regular beef burger, smells like a burger but how does it taste? Well, tasting tests conducted recived compliments both taste and texture from the tasters. In addition, Beyond Meat substitute burger is free of cholesterol, soy or gluten and contains only 5 grams of saturated fat, at least according to what the company says. If it looks like a duck and goes like a duck then it’s a duck, but science and technology prove otherwise – a burger that looks like a burger and tastes like a burger but not made of meat. This is amazing. And where is the money in the industry? I predict that it will arrive and probably in huge amounts. Beyond Meat is the prime example of this. In the first nine months of 2018, the company generated revenues of $56.4 million, more than twice that of the corresponding period in 2017, although it ended the period with a net loss of $22.4 million. While this translates to a Price to Sales of almost 18 and make Beyond Meat IPO price too expensive for my taste, this strong growth reinforces the belief that meat substitutes have enormous commercial potential. It is currently hard to rake in high profits, but the global market is growing fast. No, it will not happen tomorrow morning, there are many more production challenges and the cost is relatively expensive, but you remember that the best dishes are cooked slowly, right? 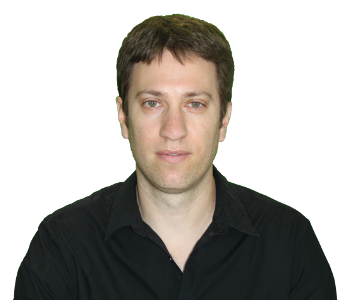 Be the first to comment on "The day the meat companies will be on the grill"
I'm Dr. Yinon Arieli - a value investor since 2001. I manage investments for major investors and advise to companies, which means that my expertise is identifying investment opportunities, analyzing companies and providing valuations of their stocks. What is a Spin-Off Stock? Why spinoffs achieve better returns? The materials posted on this website are for general information purposes only, and should not be regarded as a recommendation and / or advice for purchasing the securities mentioned, and anyone using them does so at his or her own responsibility. All investors are advised to conduct their own independent research into individual stocks before making a purchase decision. The author does not have an investment advisor license, and might have a position in some of the securities mentioned on this page.